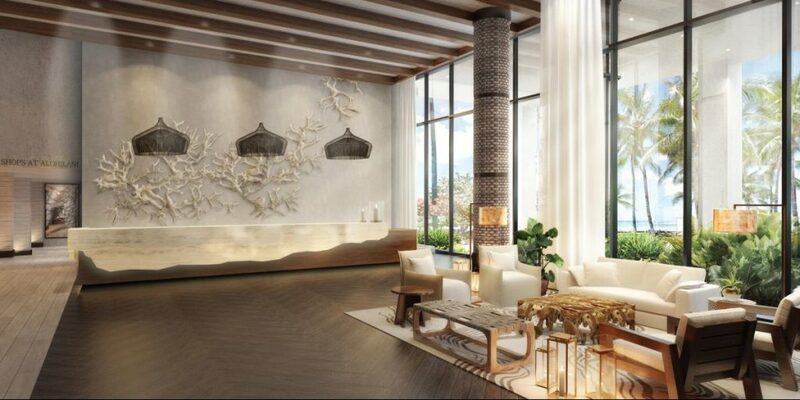 Poised to open in fall 2017, Alohilani Resort Waikiki Beach will be a modern and tranquil oasis in the heart of Waikiki that pays homage to Hawaii’s rich cultural heritage while redefining aloha-chic. 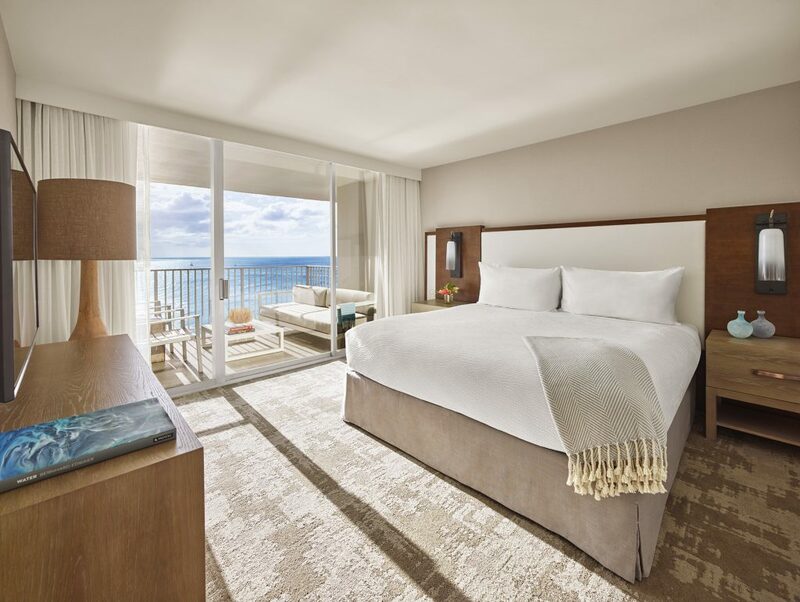 The Pacific Beach Hotel is undergoing an incredible $115 million redevelopment of the entire property—from the exterior facade to all public spaces, guestrooms, and suites—with the Alohilani Resort Waikiki Beach emerging in fall 2017 as an all-new tropical retreat. 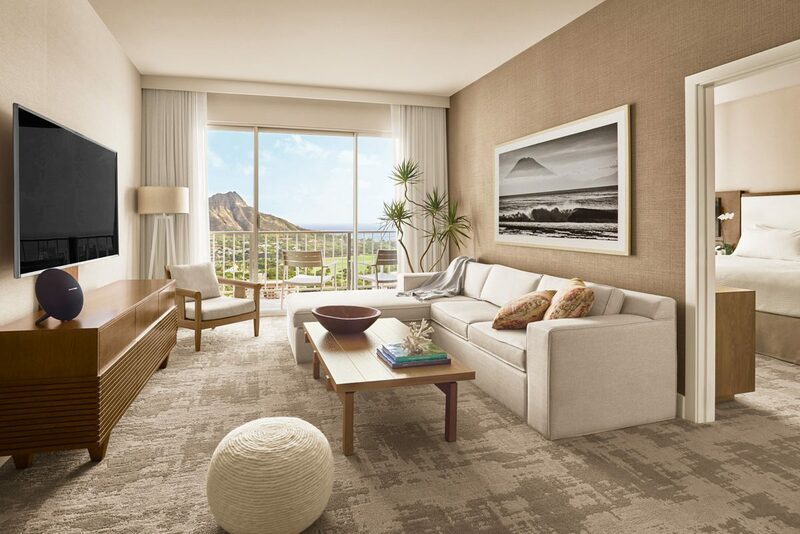 The modern resort will feature authentic design touches inspired by Oahu’s lush landscape, rich culture and heritage. 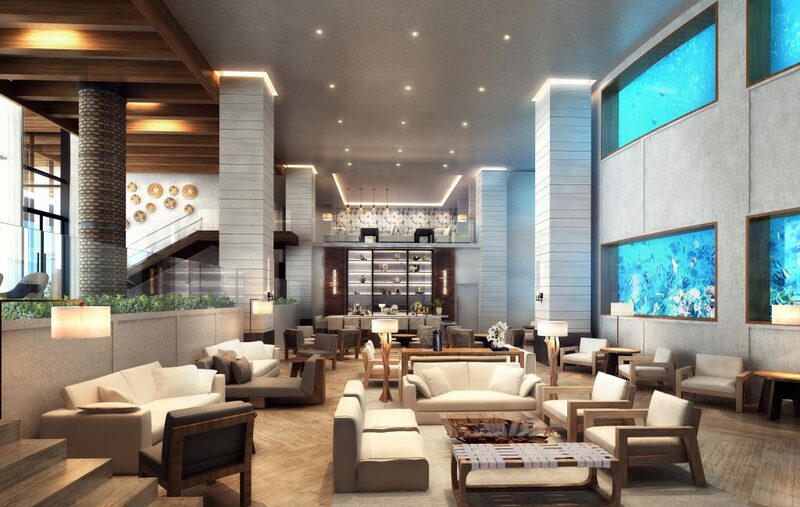 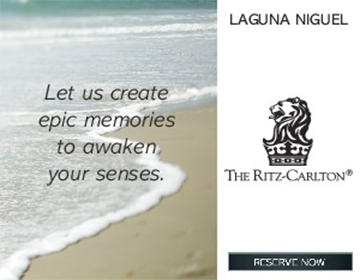 Guests will be greeted by a sophisticated lobby experience that includes a lounge and bar, 280,000-gallon Oceanarium, new guest services and concierge areas, retail boutiques and more. 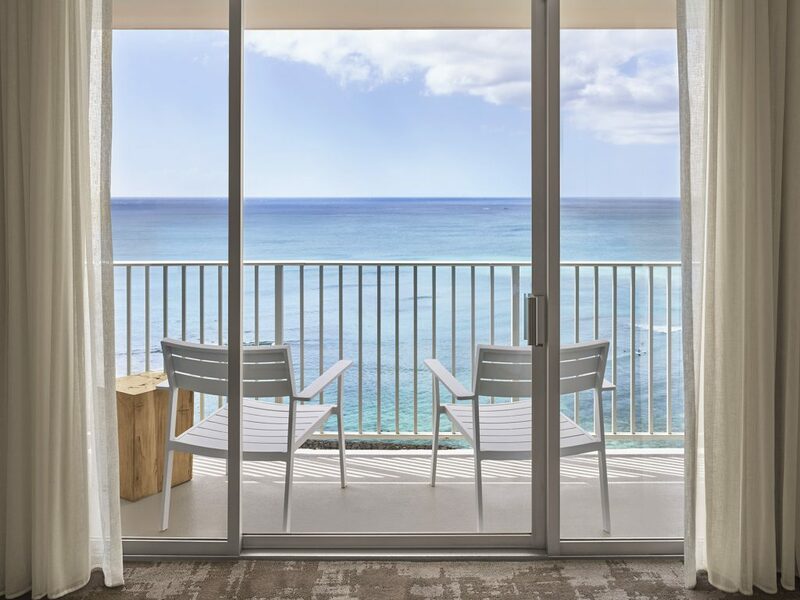 Located just steps from the beach among oceanfront shops, eateries and activities, the resort will feature 839 all-new guestrooms and suites that bring Hawaiian spirit and modern beach house style to Waikiki Beach, offering postcard-worthy Waikiki Beach and Diamond Head views. 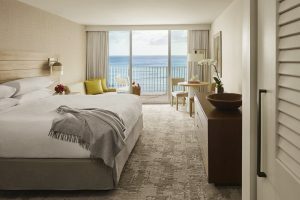 Alohilani Resort Waikiki Beach will also be home to two exclusive restaurants from internationally-acclaimed Iron Chef Masaharu Morimoto. 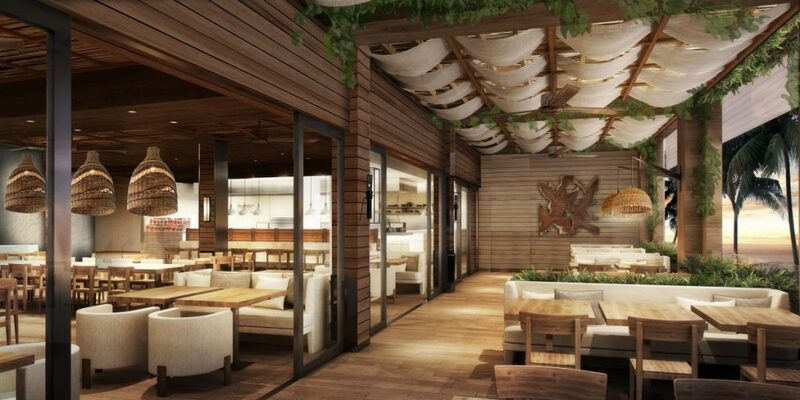 Morimoto Asia Waikiki will be the signature restaurant of the resort, serving Chef Morimoto’s world-renowned cuisine, while Momosan Waikiki will put noodles front and center, and also feature signature Morimoto sake and beer. 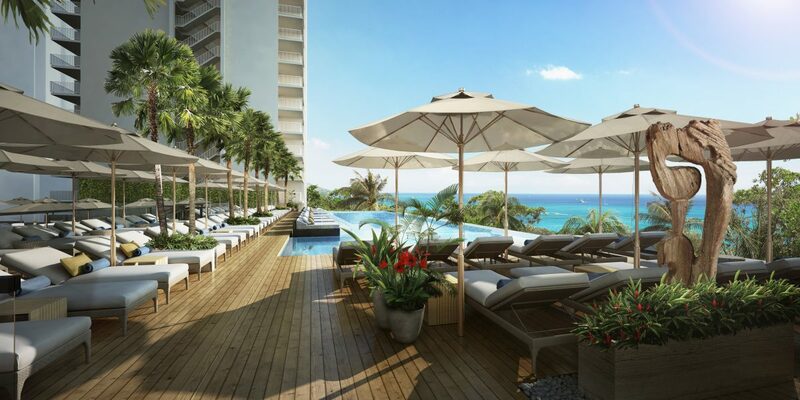 Offering indulgence and relaxation, a chic destination pool deck will feature a new saltwater infinity pool overlooking Waikiki Beach, along with sophisticated social and relaxation spaces. 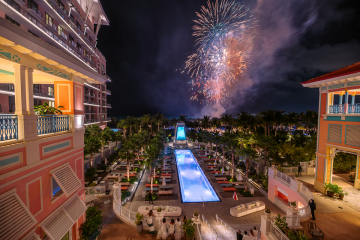 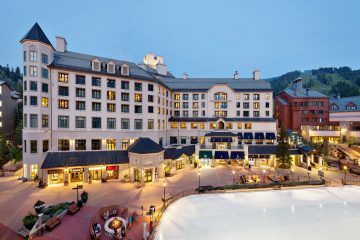 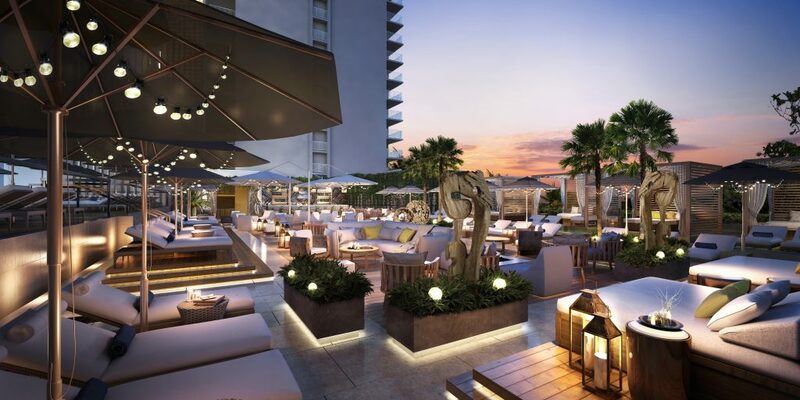 The pool experience also includes an outdoor pool bar, daybeds, custom teak furniture and driftwood sculptures, lanterns and glowing fire pits, and stepping stones to five private cabanas perched atop a reflecting pool with a separate kid’s pool and club for family travelers. 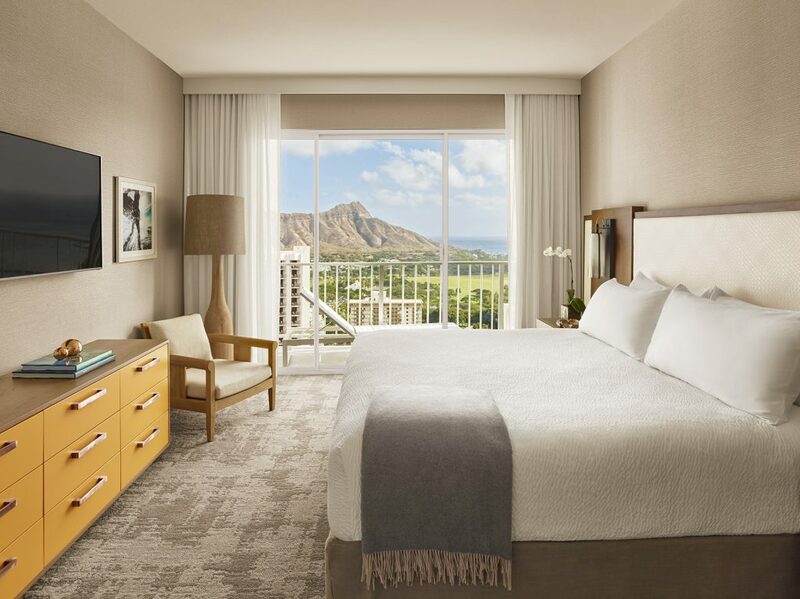 Alohilani Resort Waikiki Beach will also feature renovated meeting and event spaces in addition to a bevy of educational and cultural guest pro-gramming inspired by Hawaii’s rich culture. 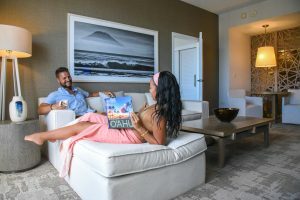 Pacific Beach Hotel remains operational during its transformation into Alohilani Resort Waikiki Beach, and guests can already experience the redesigned guestrooms and suites that debuted in the Beachside and Seascape Towers.